A black and white photograph of 903 Giffard Street. 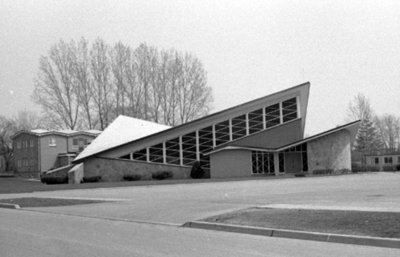 The St. John the Evangelist Roman Catholic Church was built in 1958/59. 903 Giffard Street, April 1976, Brian Winter. Whitby Archives A2013_004_025A.